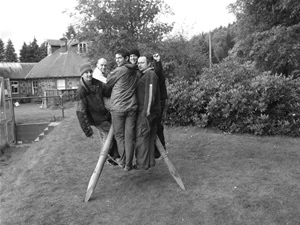 An ideal activity for groups wanting to bond as an effective team in competitive challenges and games. 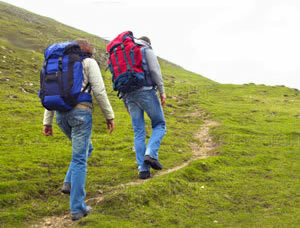 These popular games require communication, cooperation and coordination in order to achieve success. Points are awarded in head to head Team Challenges so that overall winners can be identified. Certificates, Trophies & Prizes can be presented if desired. Our Instructors will guide teams through a selection of these games either as a half day or full day session. A wide range of clients with a general level of fitness and flexibility will find Team Building a most enjoyable experience. YOU may even surprise your self as well as others! 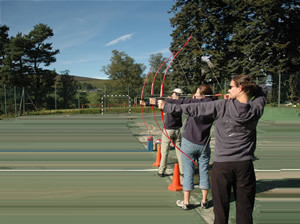 Archery takes place within a gated sports court with foam targets and backdrop of safety nets. We provide a range of training bows so we can match adults and juniors with the correct length and draw. Our instructors will give excellent tuition so as to enable you to develop your skills over 10, 15 or 20 metres. All sessions will last for approximately 2.5 hours and end in a competition with recorded scores. Archery is a hugely exciting and enjoyable activity which has proved very popular with all our clients. Our Instructors will take you into the hills, guiding you to lovely vantage points overlooking Glenisla and observing flora and fauna which may include red and roe deer, birds of prey, grouse, stoats, rabbits, hares and pheasants. On the way, rest breaks will allow clients to take advantage of map reading, emergency scenarios, stretcher building, and survival skills. If the weather is poor, our 12 man storm shelter is a good place to eat one’s packed lunch. This is a well structured day out with several breaks, thus ensuring that everyone gains from the experience. 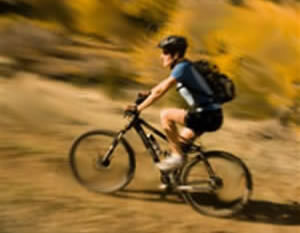 We use our Mountain bikes for our Trail biking in the Glenisla area. Whenever possible we avoid roads and keep to forest trails. With over 20 designated routes, our Instructors can always choose the appropriate one for the group’s age, fitness and ability. Before leaving Highland Adventure we ensure that the client has the correct size cycle, helmet, gloves and is able to master the gearing prior to taking to the road. Whatever the weather you are bound to see interesting flora and fauna in this beautiful glen in the foothills of the Cairngorm National Park.